Despite the mass slaughter orchestrated by European governments, rank-and-file soldiers during World War I often attempted to resist the war effort and refuse to fight their fellow workers from different countries. Everyday resistance to fighting often took the form of an unofficial "live and let live" policy on the front, where troops on each side agreed not to launch offensive action. And "search and ignore" patrols were common. Later on in the war this resistance exploded into outright mutinies, which eventually ended the conflict. But an early and spectacular example of this unofficial rebellion was the 1914 Christmas truce. On Christmas Eve, German troops began singing "Silent Night" in German, French and English, along with other Christmas carols. They decorated the trenches with Christmas trees, lit candles and hung multilingual banners wishing opposing armies "Merry Christmas". Across much of the front artillery fell silent, British troops joined in the carol singing and both sides began to shout Christmas greetings at one another. On Christmas Day, soldiers began to climb out of the trenches to fraternise with the other side, bring back bodies from no man's land and exchange gifts like tobacco, chocolate and alcohol. In several areas there are first-hand accounts of often-improvised football matches being played. The unofficial truce covered about 100,000 men, almost entirely on the Western front however there was also a small truce along part of the Eastern front between Austrian and Russian troops. Fighting continued in some areas. Mother, I am writing from the trenches. It is 11 o'clock in the morning. Beside me is a coke fire, opposite me a 'dug-out' (wet) with straw in it. The ground is sloppy in the actual trench, but frozen elsewhere. In my mouth is a pipe presented by the Princess Mary. In the pipe is tobacco. Of course, you say. But wait. In the pipe is German tobacco. Haha, you say, from a prisoner or found in a captured trench. Oh dear, no! From a German soldier. Yes a live German soldier from his own trench. Yesterday the British & Germans met & shook hands in the Ground between the trenches, & exchanged souvenirs, & shook hands. Yes, all day Xmas day, & as I write. Marvellous, isn't it? When the Christmas bells sounded in the villages of the Vosges behind the lines ..... something fantastically unmilitary occurred. German and French troops spontaneously made peace and ceased hostilities; they visited each other through disused trench tunnels, and exchanged wine, cognac and cigarettes for Westphalian black bread, biscuits and ham. This suited them so well that they remained good friends even after Christmas was over. At Christmas 1914 we had a kind of armistice if you like, to say there'd be no firing on Christmas Day, but it didn’t happen just like that. On Christmas Eve, as far as we were concerned, we was still at war, but in the evening on sentry-go we heard singing from Jerry. … We had the Stand-To because we didn't know what all the singing was about to start off with. On Jerry's wire there were bits of paper, bits of rag, and all sorts of things saying "Happy Christmas", some in German, some in English because a lot of the Germans had worked in England. They held up a bottle of wine and I know our bloke shot at it. Well it all got quiet. I don't know if we had breakfast that morning, I suppose we did; we had a drink. Everything was peaceful and eventually one of the Germans held up a card with "Merry Christmas" written on it, and come on over the top. Everybody was dubious in our trench, saying kind of, should we or shouldn't we and all of this bloomin' caper, and then one or two more Germans come up. We didn't all group in one place, we was spread along an area about a hundred yards and we mixed in with some others and they give us a bottle of wine and cigars and we thought to ourselves, well they must be bloomin' well-off in Jerry-land. All we got was a tin of Tickler's jam and we went back into the trench and brought out a couple or three tins of jam to give to these Jerries. In some areas the break in hostilities lasted until Boxing Day but in others it lasted until the New Year. The following year, there were apparently a small number of local unofficial truces. However British military High Command was angry and issued strong orders and harsher punishments to stop fraternisation and break up international solidarity, which they considered to be treason. So after 1915 there were no more Christmas ceasefires. But the troops' obedience was relatively short lived. In 1917, Russian troops mutinied and turned on their own government, the French army mutinied en masse, mutinies began to spread in the British army and the war-weary German soldiers and sailors stopped fighting, joined a workers' general strike and overthrew their government, bringing World War I to an end. 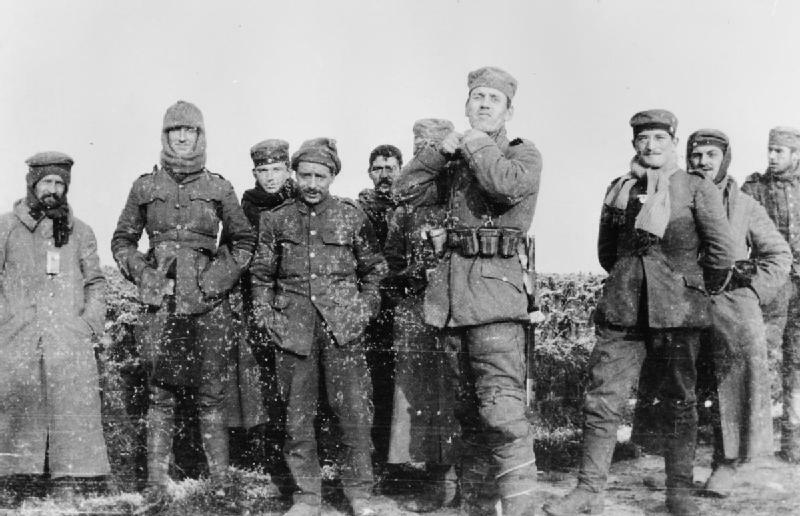 "The Truce of Christmas, 1914", Thomas Vinciguerra, The New York Times, 25 December 2005. Catastrophe 1914: Europe Goes To War, Max Hastings. William Collins 2013. Richard Schirrmann: The first youth hosteller: A biographical sketch by Graham Heath (1962, International Youth Hostel Association, Copenhagen, in English).